WANKULUKUKU – Veteran striker Brian Umony scored the only goal of the game as Express defeated Bul FC 1-0 in the 2018/19 Uganda Cup quarter finals. Umony who has been troubled with injuries lately, struck inside two minutes of the lively encounter. The former KCCA FC front man controlled a Frank Tumwesigye cross from the left, beat Bul custodian Hannigton Ssebwalunyo and slotted into the back of the net. Bul got an instant chance to equalize but Douglas Owori arrived late to meet a Joshua Lubwama delivery frok a free-kick. A few minutes to the end of the first half, Bul got another chance to draw level but Jimmy Kulaba’s shot from distance, flew over. Express were dealt a blow on 63 minutes as Tumwesigye limped off with injury and was replaced by Davis Mayanja. 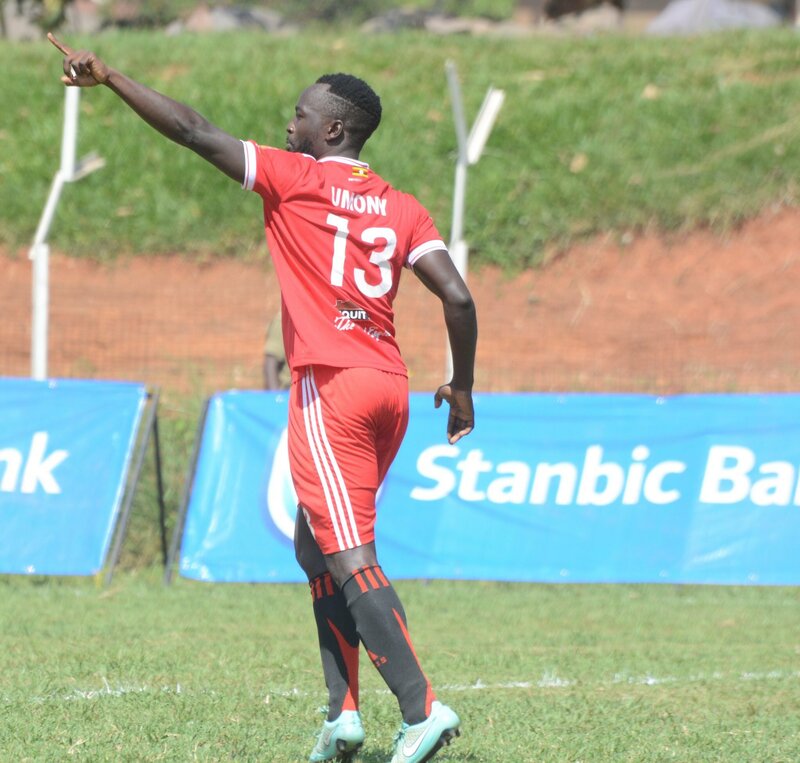 The Red Eagles could have doubled their lead on 70 minutes, but Mayanja could not sort his feet while in a promising position after he was played in by Umony and somehow Ssebwalunyo gathered. With 18 minutes left on the clock, it was Express again with a clear-cut scoring chance but Ibrahim Kayiwa was denied from point balnk range by Ssebwalunyo. Bul’s major threats in the second period came from set plays as Muhindo Kambale tried his luck thrice but all his efforts went argonizingly wide of the target. Express endured the final minutes with splendid defending to win the contest much to the amusement of the famous Red Army. The Red Eagles now joins Bright Stars and Kyetume the semi finals of the competition.